Waxploitation Records founder Jeff Antebi asked his favourite artists from the worlds of music and the visual arts to collaborate on original children’s stories for a benefit project. 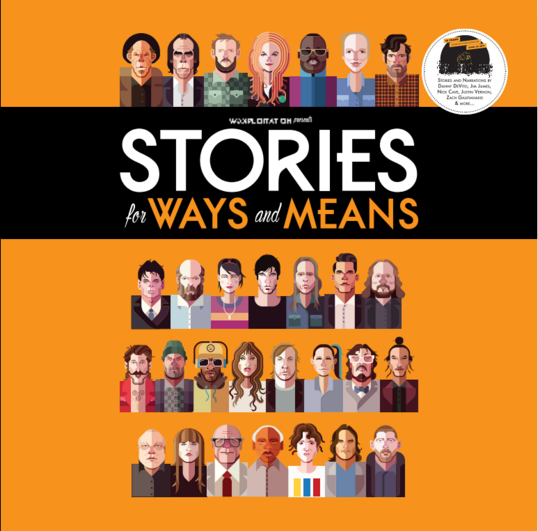 Those pairings make up the 350-page book project called Stories For Ways & Means available at SFWAM.org. The book includes stories from Nick Cave, Frank Black, Justin Vernon, Laura Marling, Devendra Banhart, Alison Mosshart as well as paintings/illustrations from Anthony Lister, Dan Baldwin, Swoon, Will Barras, James Jean, Ronzo, Kai & Sunny, and more. On Record Store Day, artists, musicians and other personalities are providing narrations of these stories. It will be available on 12” coloured vinyl with an insert containing an excerpt from the book. There will only be 2,000 made available. False Heads Stream New Track ‘Comfort Consumption’ // New EP Out Now!